They’re accessible. You can purchase online or in stores. They’re also in some JC Penny locations! They have the most knowledgeable and helpful staff. Staff at other stores can be pushy, or just don’t know what they are talking about. Someone even made this video about Sephora vs. Mac employees. Hah! You can try any product and take home a sample made just for you. Sephora Deals… Read below for more info on this one! I’m going to break down why Sephora is THE BEST. The return policy. Enough said… Ok, maybe this isn’t the only reason. But, seriously, it’s amazing. Return any item, within 60 days, for any reason. Even without a receipt, your returns will get you store credit. For exchanges without a receipt, bring ID. 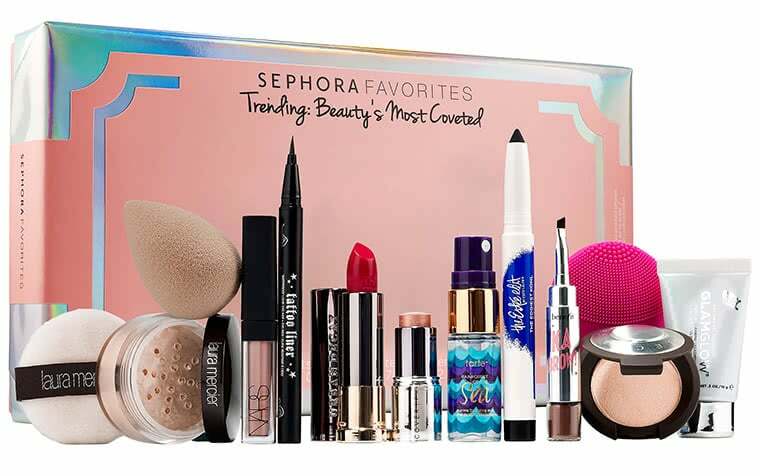 Returns are so accessible because there are Sephoras everywhere! Most brands don’t have storefronts, meaning if you buy online, you have to return online (what a hassle). I love to take products back to Sephora and browse for something new. Shopping online is the way to go. Why? You get three free samples with every order. Unlike in stores where you only get a sample if you use your Beauty Insider Points and you need a minimum of 100. Now here is the best part that most people don’t know about. You get a fourth free sample with Sephora Deals. If you spend over a certain amount (usually $25+, which, let’s be honest, what can you buy at Sephora for less than that?) you get to choose from an amazing assortment of samples. 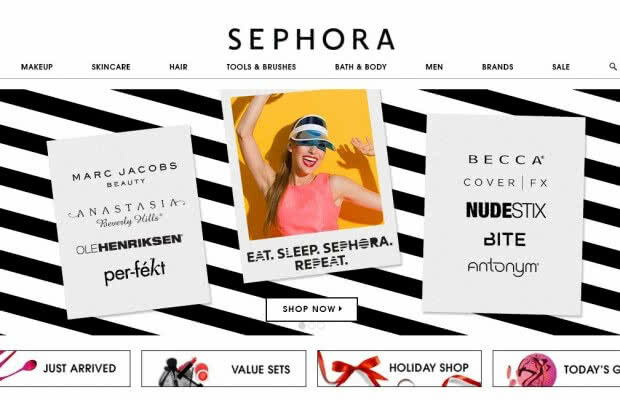 I strongly suggest you bookmark this page because Sephora is sneaky and makes it hard to find. You ready for my SUPER SECRET TIP? Make separate orders of $25+ and use as many of the beauty deals as possible! So, you are buying a brush, a foundation, and a perfume. Instead of ordering them together, order them separately and you get 12 free samples!!!!!!!!! 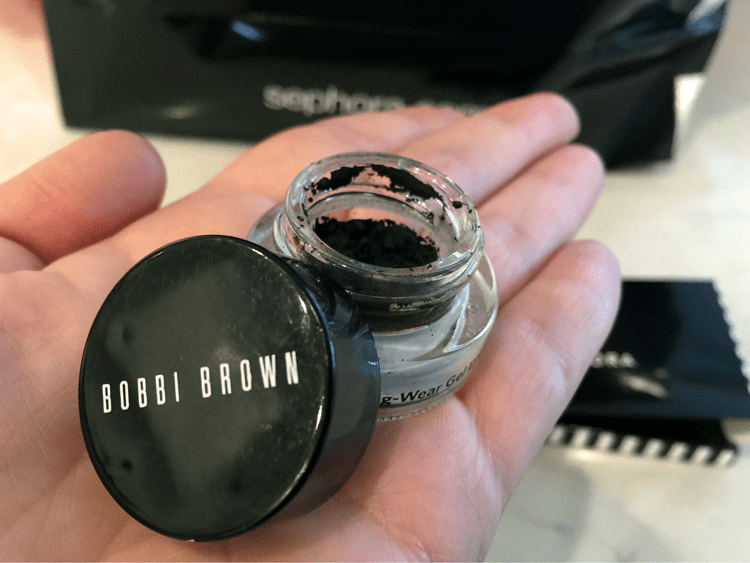 Another amazing thing about Sephora? They will give you samples of ANY product. 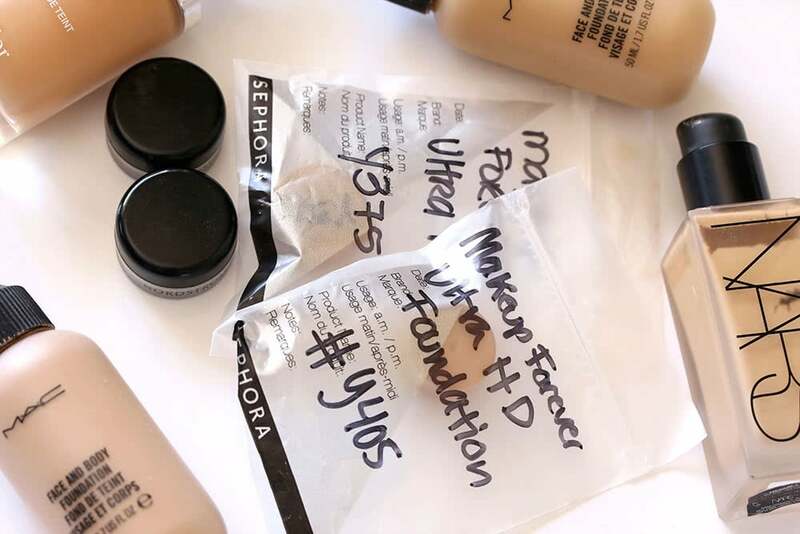 Foundation, concealer, perfume, hair products, masks… etc. So ask for samples, there is no purchase required. I always go to the store to color match new foundations then I buy online and get the freebies! Also, the samples sizes are pretty large! Sephora has the best value sets. Meaning you get more for your money. Their sets are either from one brand or they contain a curated mix of trending brands and products that are “Sephora Favorites”. The $ savings are advertised on the package and can be up to 70% off! Beware of the check out line! *One thing everyone needs to know. Travel size products are generally a rip-off. 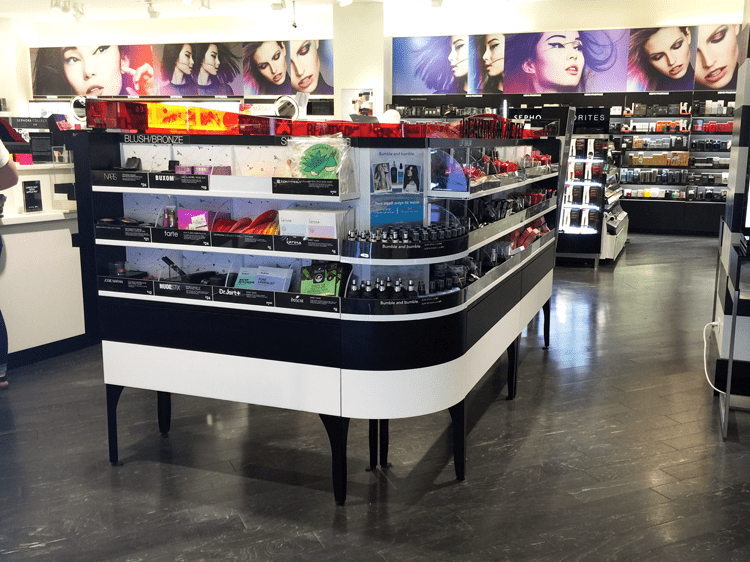 Sephora has the most alluring check out line… Don’t give in! Do you want to try something new? Go ask for a free sample of any product in the store and save yourself $$. If you need a travel size container buy these on Amazon instead and fill them up with your favorite products. Any value set! These are already discounted heavily for the number of products you get, the additional discount makes it SO WORTH IT. Plus, if you’ve been looking for a new perfume/ lip color/ skincare line- this is a perfect way to do it. I bought this last year and LOVED it! It was so worth it! The perfume/ cologne sampler is the gift I’d always buy my new boyfriends (Steve knows, hah). I’m super picky about scents and generally don’t ever like their old cologne (chances are they got it from an ex anyways). So this is great because you get to try 12 brands and once you pick one they bring the card in for a full-size bottle! 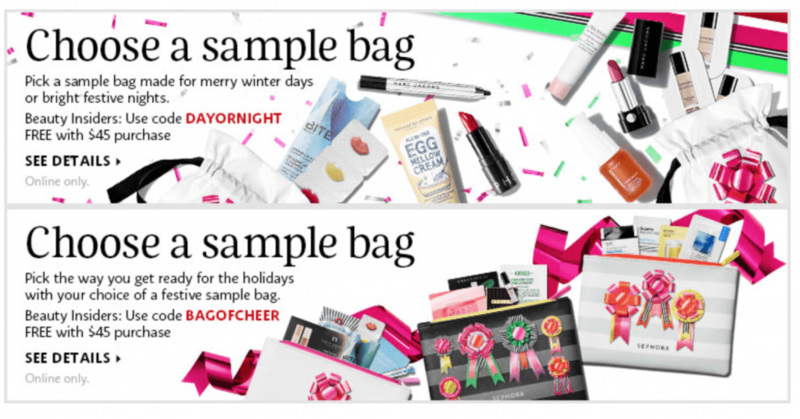 So you can spend $65 on the sampler and get a $95 full size! They are also putting the newest scents in this so you can give this gift every year! 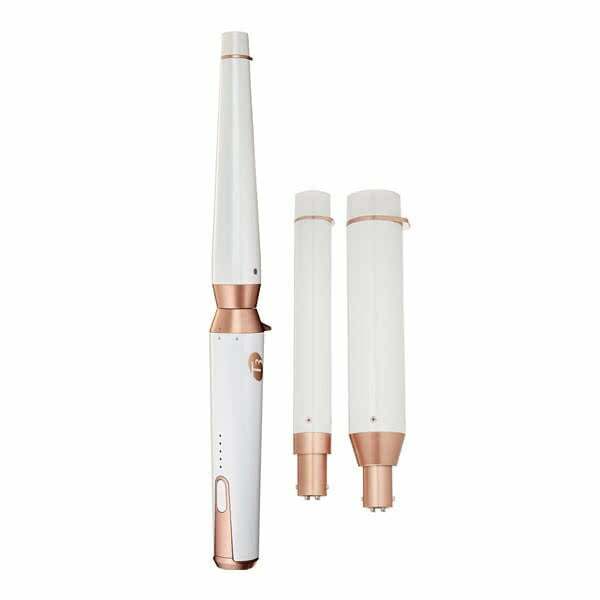 Buy those hair tools you’ve been eyeing. They have some very high-end tools that never go on sale, this is the time to buy them! So, yeah. It’s safe to say my love for Sephora is justified. I will do a holiday gift guide soon. For now, go get your freebies online and let me know what you got!